If you’re a fan of the battle royale genre, then Call of Duty: Black Ops 4 with its Blackout mode will feel like a gift from the gaming gods. It’s smooth, it’s precise and, most of all, it’s incredibly fun. So, it’s little wonder that the game is already breaking video gaming records as it rakes in an astonishing $500 million in sales on its opening weekend. For new players to the BR genre, the aim of the game isn’t the most kills – like in more traditional Call of Duty modes – instead this is a battle to the last man, woman or team standing. Something that is far easier said than done, but for those looking to wear the Blackout crown, here are our top tips on how to be victorious. 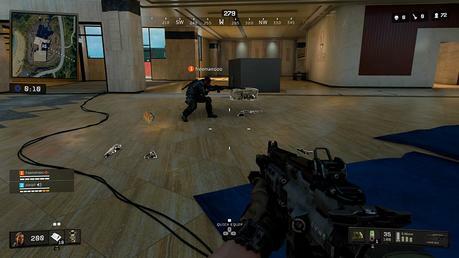 For any game of Blackout you play, where you drop will have a direct influence on your chances of winning, especially if you opt for one of the game’s infamous hot drops. So how do you decide on the best place to land? Of course, any drop you make is subject to luck. You can land on construction site, get the best loot, kill anyone else that lands with you and find that the circle is over at Turbine. This leaves you the almost impossible task of getting a vehicle and making the dangerous journey down the map. Conversely, you can drop on a relatively unassuming set of unnamed houses, only to find other players or teams had the same idea, leaving you to fight over limited loot. 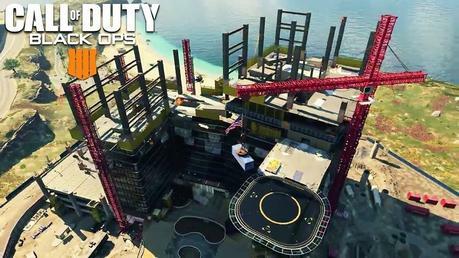 Construction is a high-rise building site to the north of the map. The multiple floors here are home to a serious amount of loot, meaning that if you can land here and kill anyone that lands with you, you will find all the meds, guns, attachments and gear that you will need for the entire game. Most people will aim to land on the top of the structure, but it’s a good idea to land lower, get yourself a good gun and some armor and then work yourself upwards. A helicopter often spawns near the top of the building, perfect for when the circle isn’t your friend and you have far to travel. The group of white houses to the south of construction are also a key spawn point for the Koshka sniper rifle. If you’re looking for rare loot, then Asylum is the hotspot for you. Not only is Asylum home to the very powerful Ray Gun and a grenade bomb shaped like a monkey, but there’s also the chance that the Mystery Box featured in the zombie game mode will spawn on the second floor of the building. What’s the catch? Well apart from the other players who will drop here looking for the rare loot, Asylum is also home to hordes of zombies who’ll attack you. So, if you really want to win the game, watch your back. If keeping close to the circle is your main concern, Rivertown is a good, safe central drop that isn’t too hot. Yes, others land there often, but it’s not as ‘hot’ as Nuketown or Firing Range. 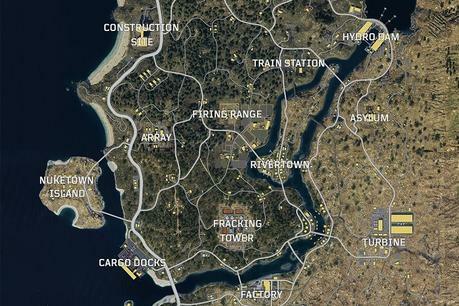 Make use of the multitude of buildings here to gear up, then hunt down those that looted up at the nearby Fracking Tower or Firing Range. You can kill them, then steal all the loot they worked so hard to get! Sometimes, to get a good chance of winning, you should go for a more secluded space that will let you take your time to get the gear you want, before you make your way into battle. Lighthouse, to the south-west corner, is one such place. 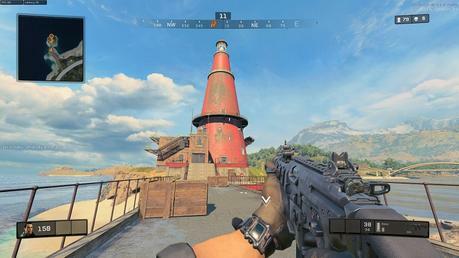 Plus, there’s usually a nice supply drop at the top of the lighthouse, which may contain some rare guns and/or level 3 armor. It’s imperative you keep an eye on the circle, though, as being at such a corner, you often have a far way to travel. There’s no point in getting good gear then dying due to poor circle management. To keep the game fresh, change up where you drop every few games. Cold drops can keep you alive longer, but by choosing to drop in popular areas such as Firing Range you will give yourself essential practice on shooting others. Otherwise, you run the risk of suffering total panic when you eventually do come across someone. 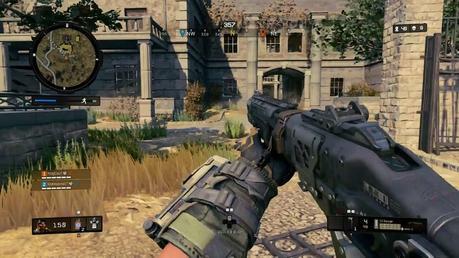 When you drop into the Blackout map, you don’t have the luxury of choosing a loadout like you can in Team Deathmatch. Instead, you have to run about looking for loot in order to survive. A notion that can cause many of us to panic and over-loot as we pick up absolutely everything in sight. But, if you’re looking to win, you have to be clever about the gear you pick up – especially the guns. An element of personal preference always comes into play when it comes to guns in Call of Duty, however, there’s no denying that certain guns make for a winning combination. At the moment, the favoured set up is an assault rifle matched with a 2x scope and a sniper rifle. However, matching a sniper and a shotgun (perfect for a close quarter battle) is also becoming increasingly popular. 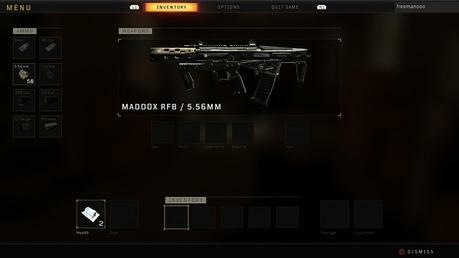 For most of us, an assault rifle is a must-have gun in Call of Duty, and Blackout has a decent set. At the top of the pile, the Maddox RFB is a powerful gun that is also easy to control. Perfect at short and mid-range, team it with all the attachments you can find. Just beware it won’t do you any favours at long range. If you’d like an assault rifle that works better at long range, the Rampart 17 is a good stand-in if you are struggling to find a DMR or sniper. The Rampart seems to be a bit like marmite to Blackout players due to the slow rate of fire and horizontal recoil. But there’s no denying it’s a high damage gun that will rip through your enemies. 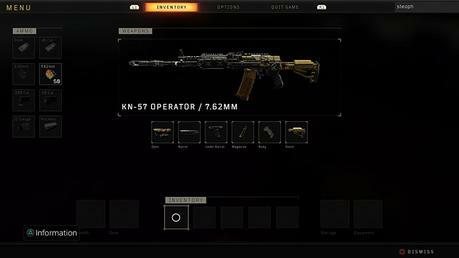 For an all-rounder, the KN-57 is a strong gun – especially when you add a suppressor, grip, stock and short-range sight. 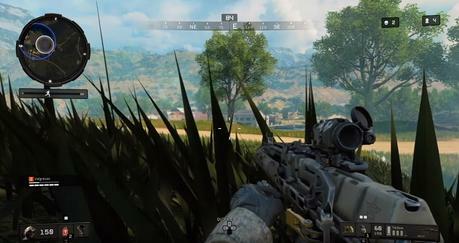 There isn’t really a bad sniper in Blackout, so if you’re lucky to spot one, grab it. If you get a choice though, you’re going to want to opt for the Koshka or the Paladin HB50. Arguably the best gun in the game, the Koshka lets you down players with a single shot from miles away. Add to that, it’s incredibly fast scope time and you can make up for missed shots, dancing players and new threats in the blink of an eye. 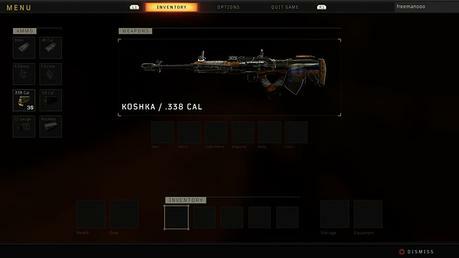 This means that the Koshka isn’t limited to a long range, it’s also highly effective at mid-range battles, which is why it peaks above the Paladin HB50. While the Koshka benefits those who don’t always have the best aim, for those who rarely miss, the Paladin is a beast that will destroy your enemies. Best for long range, it’s small bullet drop makes it easier to kill from a distance. 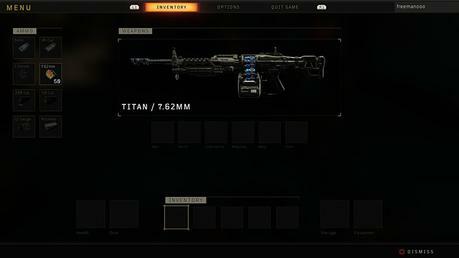 If you’re looking to win Blackout matches, learning how to use a sniper effectively can be very rewarding. It lets you camp away from the action, killing opponents from a safe distance and without using up all your other medkits. If you can’t find a sniper, the Auger DMR will work at a push. Your assault rifle and your sniper are the two most important guns to look out for, but that doesn’t mean they’re the only guns that will win you the game. The Titan is fast becoming one of the people’s favorite pickups in the game, and it’s little wonder why. This LMG can tear through both vehicles and armour, making you lethal at short and mid-range as you power through its 75-round magazine. It has a terrible bullet drop, though, so avoid in a long-range battle. For most, the Ray Gun (which is found near the zombie areas) can look a little silly with its green lasers. However, the fact that it usually downs enemies in as little as two shots and the fact it has a very little drop, makes it a very effective gun for killing. Vehicles are immensely popular in Blackout, especially for players who land at places like Nuketown or Construction site and have a long way to travel for the next circle. If you’re working in a squad, having one member of your team carrying a Hellion Salvo can be very effective. This rocket launcher has a brilliant target lock, even at great range, and is an easy way for you to take out an entire team in one blast, making you one step closer to taking the crown. 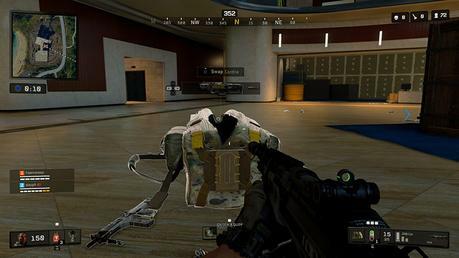 A good gun isn’t just the difference between winning and losing in Blackout, you also need to make use of the other loot that adorns the floors. Straight off, you know you need meds and armour, trauma kits are an essential pick-up as they boost your health to 200 hp. It can be tempting to store one of these until your health is low, but take it right away. Having 200 hp vs someone with 150 can mean the difference between life and death. Pick up as many kits and bandages as you can find, too. Perk boxes are littered across the map and will give you limited-time abilities that give you the edge over others. You can use four at a time, and each gives you a different power. Don’t waste a lot of time humming and hawing over what perks to use, though, just keep picking them up and activating them. Too many people have died as they mess around in menus decided what perks to use. Special equipment can also mean the difference between life and death – especially when you get down to the top ten players. Frag or cluster grenades can be thrown to where you think an opponent is healing during a battle. 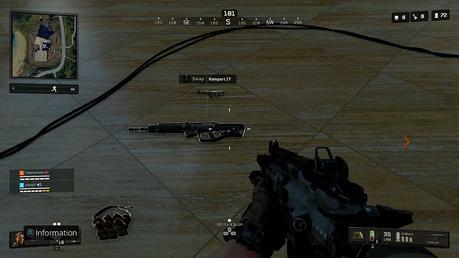 A grappling gun can also zip you to higher ground, which holds a significant advantage in a fight. As important as getting the right loot is, it is definitely not worth dying for – a mistake that is made more than you might think! Too often, players will forget the circle and how far away it is as they needlessly loot big buildings like Construction. If you don’t leave yourself enough time, or have a vehicle handy, it’s incredibly easy to die outside the circle. Which is an embarrassing way to go. Similarly, don’t leave yourself to getting shot in the back as you loot a body in the open air. If you kill someone and want their stuff, get in and get low to the ground and make it quick. Any longer than 30 seconds on a body is far too long. Spotting enemies in Blackout is far easier than you might think, especially if you know the signs. Moving vehicles or a smoking vehicle by a building, open doors and body bags are all key signs that someone is nearby. To avoid getting killed, you need to avoid all these. Close doors behind you, abandon vehicles a safe distance from where you plan on going next and don’t hang around your kills. Good Blackout practice is to keep constantly on the move, hug the outside of a circle to the highest ground you can and make use of the plentiful natural cover that the map provides. Most of all, watch and learn from your mistakes. Nobody starts this game perfect, but the more you play and watch your kill cams, then the more you will learn for your next match. And, at the end of the day, keep in mind that battle royale games all have an element of luck, so if you are continuously losing, don’t get yourself too down. Instead, base your performance off getting in the top 15 and the number of kills/damage you inflict. Winning is just a bonus.